UDM Downloads > Flash2X Wallpaper Maker! 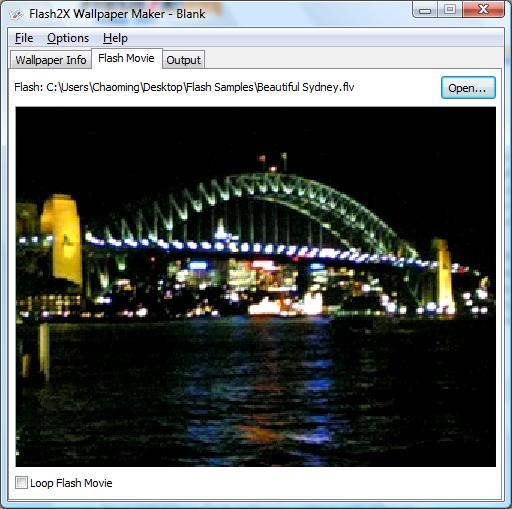 Flash2X Wallpaper Maker is a program to make flash wallpapers with both flash (SWF) and flash videos (FLV). It generates executable setup wizard for your flash wallpapers so that users can easily install your flash wallpapers on their computers. Making flash wallpapers with Flash2X Wallpaper Maker, you can customize your flash wallpapers and show a text link to your website on the bottom right corner of your flash wallpapers. It is a great piece of software to enjoy flash and flash videos and promote your websites. Key Features: * Create flash wallpapers with flash (SWF) and flash videos (FLV); * Generate executable setup wizard; * Customize flash wallpaper settings; * Include customized license agreement in flash wallpapers; * Display a text link on bottom right corner of flash wallpapers; * Save and restore flash wallpaper settings with projects.